I did a thing. A thing where you find something that really works in your skincare, makes it a lot more manageable, and becomes such a staple you forget how it’s helping your skin and decide to not repurchase because you want to see how your routine manages without another add on before moisturising. It turns out it it’s a pretty crucial componement, and since foregoing, my skin hasn’t been as a-okay. 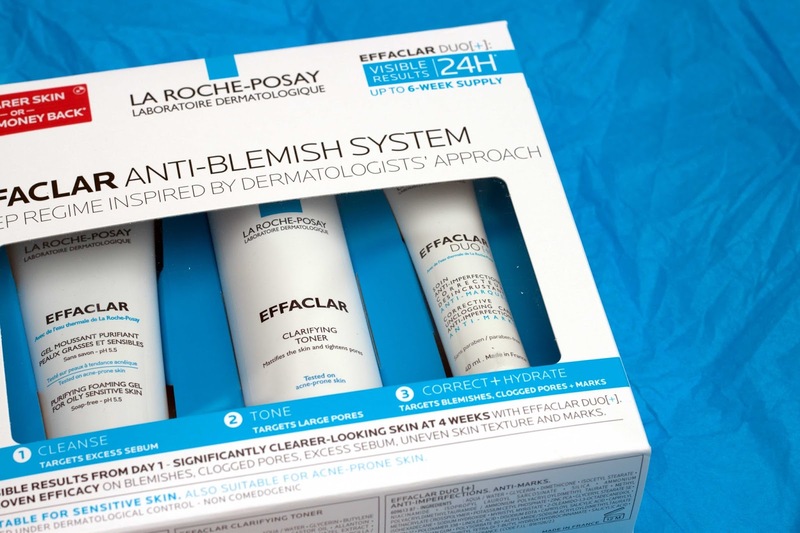 Without La Roche Posay’s Effaclar Duo +, my skin has been a little more clogged and ew than I would have liked, but thankfully the La Roche Posay team came to my help with their new Effaclar Anti-Blemish System* – a 3-Step Kit featuring cult products to get your skin back in shape and solving all spot and acne issues with tailored ingredients. I am all kinds of excited. Inside the kit, you’ll find the Purifying Foaming Gel, Clarifying Toner and, of course, Duo +. The toner has been specifically reformulated from the Asian collection, and is one of many beauty blogger’s holy grail products to have in their routine, and after a few weeks of testing I can definitely why! Before I get into the whole schebang of why exactly this I love this Anti-Blemish System, let’s get you up to speed with what exactly the three products are made for and the facts on how they help your appearance. According to research conducted by La Roche Posay, the pressure for women to look their best is particularly strong within the UK, with many admitting that they judge others and themselves on their skin’s appearance – a fact which I find a little unnerving as we should be teaching others and ourselves to not judge on appearance alone, but I digress as that’s a whole other topic. With this in mind however, La Roche Posay has created a tailored system to combat oil and blemish prone skin and enhance the feel of your skin. Twice a day, the three products combined help remove impurities, mattify and tighten pores, and diminish the appearance of red and brown marks whilst providing 24-hr hydration – that’s a lot of skin loving! Even more interesting is the results of the products after using for 6 weeks; 71% decrease in blemishes, 83% increase in even skintone, 36% decrease in blackheads, and 40% decrease in marks, with an immediate mattifying and hydrating effect that’s quick and easily absorbed. So how did I fair using the range? Luckily for me, I started using the range when my skin suddenly broke out in an angry fit so I was looking to see how quickly the combined use of products would clear up the blemishes and scars. Within a week of using, my skin was completely clear of aggravated blemishes and acne, redness was reduced and my pores looked tighter – I can’t believe I stopped using the range for a while! First up, the Effaclar Purifying Foaming Gel*. Now I’m a bit hesitant when it comes to anything ‘foaming’ on the face as generally it strips my natural oils and leaves me red and patchy – not nice. This however, works a treat. It’s very light and the gel consistency melts on the skin so it nourishes whilst balancing your oils, so no stripping and no excess grease. I use this every morning and evening bar when I take my make-up off, and it’s really helped in quickly clearing up my skin and getting rid of that grim greasy feeling after a sweaty sleep. You can safely rub this on your face for a few minutes and it won’t begin to turn red – thank you beauty world for finally creating a foaming cleanser suitable for my skin type! 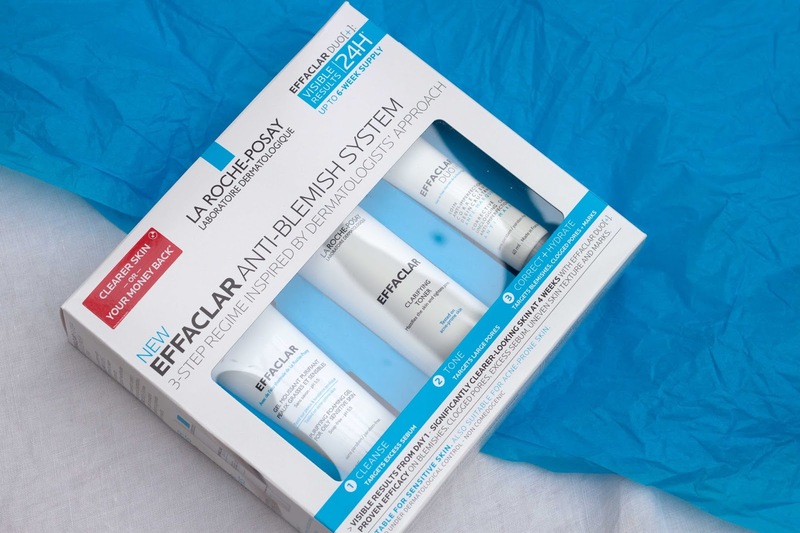 Now I’ve heard the lengths people have gone to simply to get their hands on the Effaclar Clarifying Toner* – flying to France being one of them – because this toner is so exclusive, and only available in the UK as a part of this kit. Adapted from the Asian range, it’s really worked a charm in smoothing out my skin, mattifying it and also giving it a little hydration after cleansing. If you have any broken skin or popped spots, washing this over won’t sting at all which is fantastic when you’re battling a breakout, and of course after a week, this with the other products combined had cleared up my skin mahoosively – definitely the only toner I’ll ever need. Effaclar Duo +* thank you for coming back into my life, you have been missed. Since happily popping this back into my routine, my blackheads have reduced in size massively and my skin in general looks clearer and even which makes me so happy! There’s really not much to fault with this product; a serum come moisturiser, it’s super lightweight but packs a punch in sorting out any skin concern. If you haven’t got it in your routine yet, go to Boots now and pick it up – you won’t regret it. For a skincare newbie or someone who wants a really effective way to clear up their acne, the Effaclar Blemish System is the perfect kit to start you off at just £32.50. Say bye bye to harsh chemicals and hello to your new skincare BFF. La Roche Posay, it’s good to have you back. 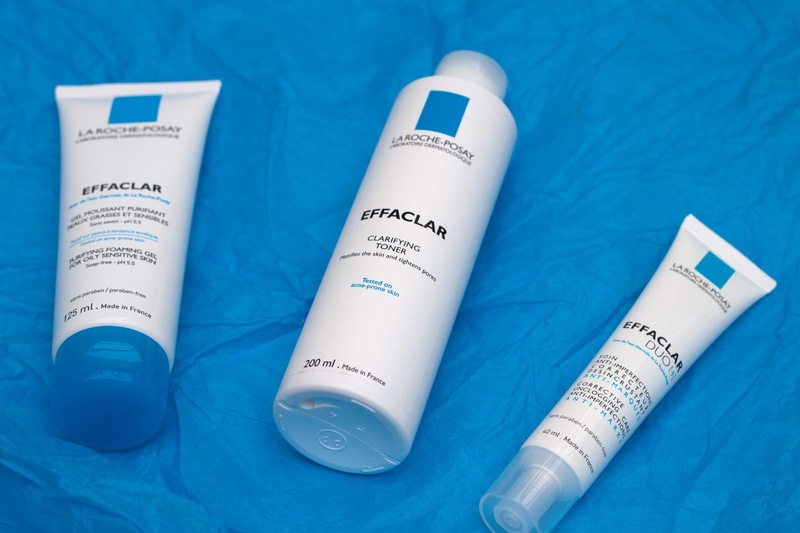 Have you tried La Roche Posay’s Effaclar range? Are you a fan of Duo+? How do you treat skincare concerns? This post contains samples or products sent for review. The views expressed here are 100% mine and do not reflect those of the brand, nor are they influenced by them. Please see my full disclaimer.